It’s not often that our family goes on a road trip to hike. However, We had to make our way to Canton to try out the trails when a friend mentioned just a few of them they enjoyed. Last summer we decided to try out not only the trails they mentioned but a few others and we were not disappointed. Ever since we had our second child, hiking has been more of a challenge. A friend of ours bought a hiking baby backpack and raved about it. So we decided to get one and try it out. Well we quickly discovered using the backpack make it really easy to carry our 15 month old baby and made these hikes possible. It was hard to pick just four of our favorites out of the many we enjoyed during our stay, but you can’t go wrong choosing any of them. 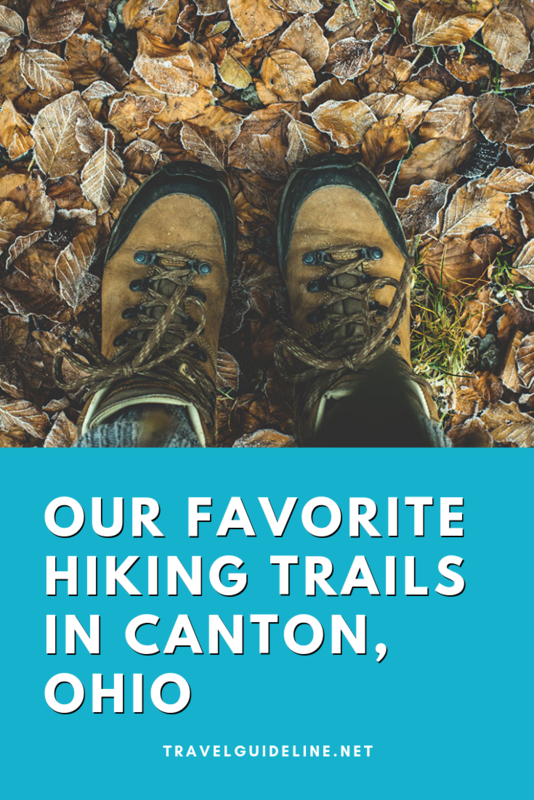 We will definitely have to make another trip to Canton, OH to enjoy these trails again, experiencing them in spring or even autumn instead. Now expanded to 162 acres, the Huston-Brumbaugh Nature Center began with a donation from Dr. Brumbaugh in 1986. It was his grandfather’s 109-acre farmland and along with the land he donated an endowment used to turn it into a preserve to be enjoyed by the public. Home to an old growth forest the Huston-Brumbaugh Nature Center has a visitor’s center along with bird observatory that are open year-round, and they hold special events. There are several trails to take you hiking through the nature center adding up to nearly 4 miles and all are open from dawn until 11 pm. We made the most of our time on the trails, relaxing on a rock to eat lunch while enjoying views of the trees that have stood for centuries. 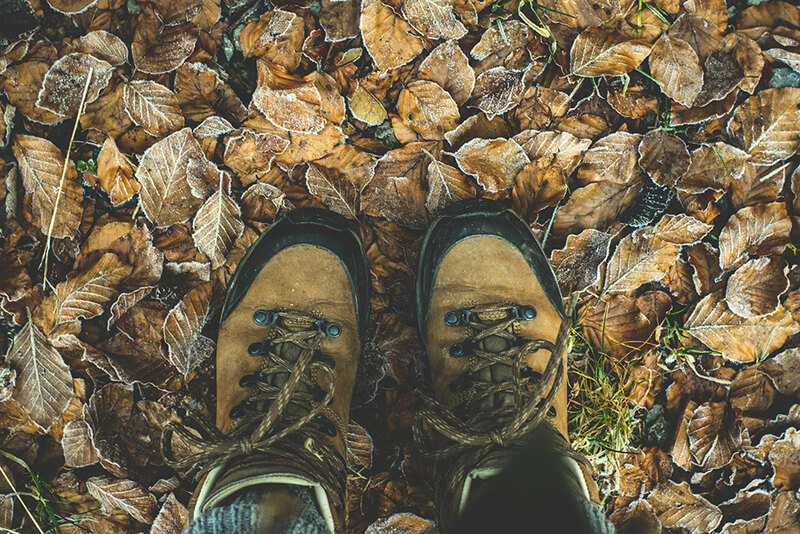 The Ohio to Erie Trail may not be a challenge trying to maneuver over a rock face as this trail is paved with wooden bridges to traverse over low ground, making it perfect for beginning hikers. It starts in Cincinnati and goes to Cleveland, but you can start and stop when you want with easy access. You are removed from the highways as you follow railroad and canal paths that are, for the most part, not in use anymore. The Erie Trail that was an easy break for our tired legs after several days in a row of pushing it hard on the longer and more difficult trails at Sippo Lake Park. Whether you plan on jumping in and out of a short section of the trail like we did in Canton or you want to travel the whole thing and challenge yourself, you won’t be disappointed in the views. Between Canton and Massillon, you will find Sippo Lake Park, a 100-acre lake where you can easily go boating and fishing. However, the hiking experience is top notch. There are 5 trails ranging from just over a half mile to well over a mile in length and if you want to make the most of your time, like we did, you want to get there at sunrise when the park opens. You will have access to a visitor’s center and gift shops, picnic shelters and rentals at Sippo Lake, which makes this a very convenient place to spend the day, or even a weekend, hiking with family or friends. This nature preserve, sitting at just over 60 acres, is located in northern Stark County, just north of Canton, OH. It is owned by Jackson Township Local Board of Education and is mostly used for educational purposes. However, it is also home to more than 20 rare plants. Hiking a bog is a unique experience. Not only do you have to be very careful of your surroundings, but also of the wildlife that calls a bog home. However, the Jackson Bog State Nature Preserve has some of the most stunning scenery, including artesian springs. Some of the best pictures of our trip were of the springs and wildlife here from the boardwalk trail that is just over a mile long. It isn’t hard to find a place to hike in Canton. However, if you are looking for the best places to hike, you can’t go wrong with these. You’ll enjoy them just as much as we did.